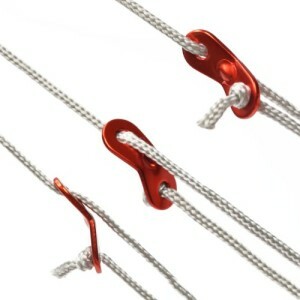 You can use these adjusters to adjust the tent cords for a safety tent. The design of 3 holes helps you with a firm grip on the line for easy using. Just adjust the line to any length you like with these convenient adjusters. Each package includes 10pcs red color Adjusters.